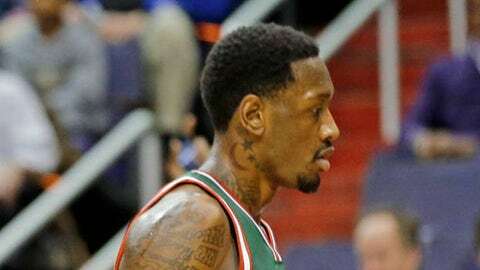 Police cited Bucks center Larry Sanders on Wednesday for disorderly conduct and assault and battery in a fight last month at a downtown Milwaukee nightclub, then released security footage of the incident. In the video, which you can see below, it appears that a fight breaks out on an elevated stage at the top right of the screen, then spills into the seating area in the center of the camera. According to Sports Illustrated, Sanders is the man in light clothing who slips down the steps and is thrown to the couch, then appears to throw an object or objects before a second scuffle ensues.